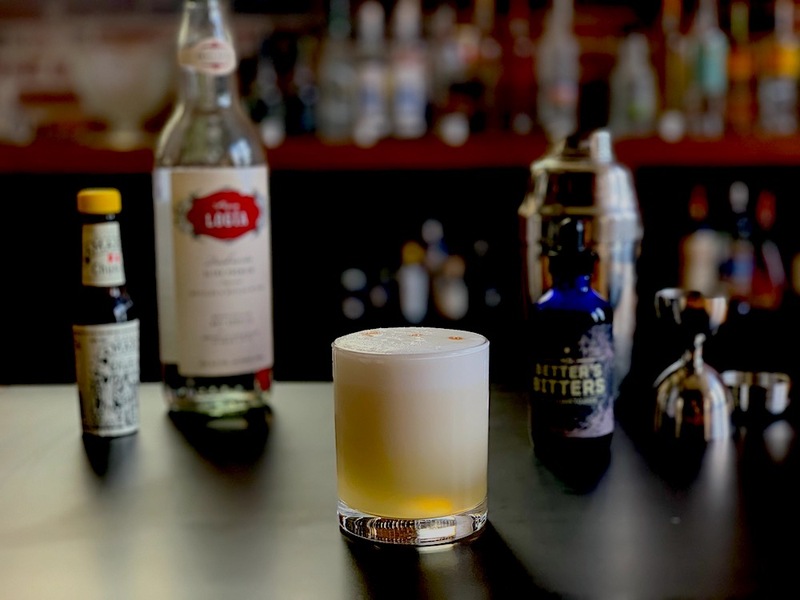 The Pisco Sour is not only the National Drink of Peru, it’s the first cocktail I imbibed—at the age of 10. 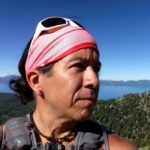 So, once I transitioned to a plant based vegan diet, I thought I had to give up my cherished cocktail. 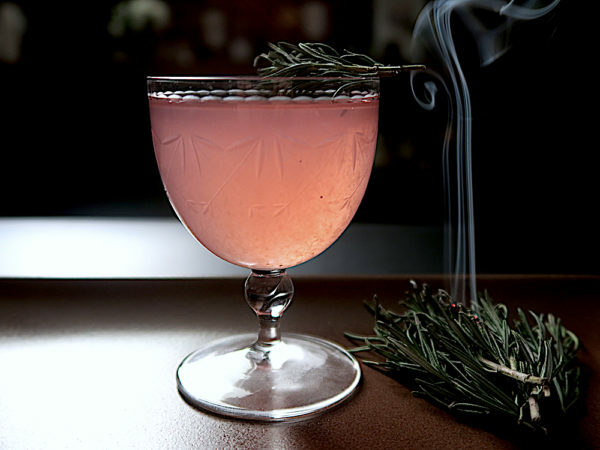 Presenting, the Xmas Pisco Punch — Pisco Acholado, simple syrup infused with rosemary and thyme, lime juice, Lillet Rouge, and prosecco. Garnished with burnt rosemary. 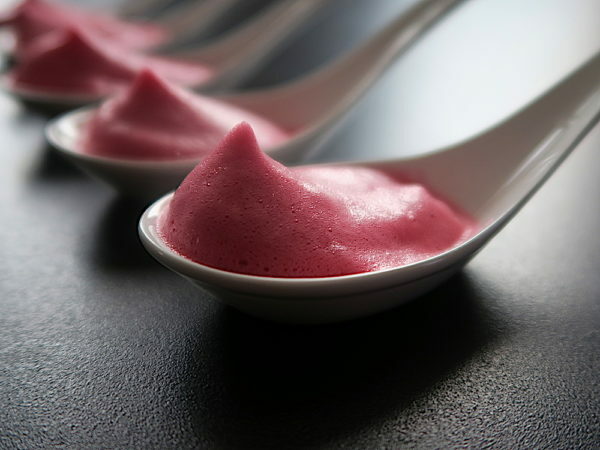 In today’s edition of “Modern Peruvian” cuisine, Chicha Morada, a purple corn drink infused with cinnamon, cloves, and fruit peels, is transformed into a mousse using an emulsifier (methylcellulose) and a stabilizer (xanthan gum). 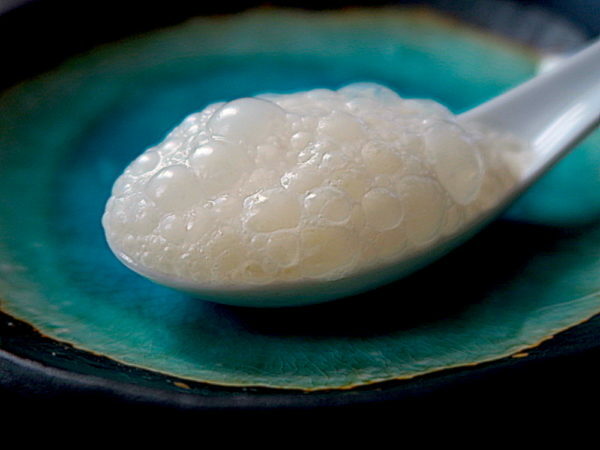 Leche de Tigre, or Tiger’s Milk, is the milky lime juice that is left in the bowl when you finish your ceviche. But you can also prepare leche de tigre in advance, drink it as a shot, or add it to your ceviche to enhance its flavor. Here, it’s made into a foam to pay homage to the sea. Presenting, leche de tigre sea foam. Presenting, Negroni Blanco de Pisco, a White Negroni variation. Pisco instead of gin, white vermouth instead of sweet red vermouth, and a white bitter liqueur instead of Campari. 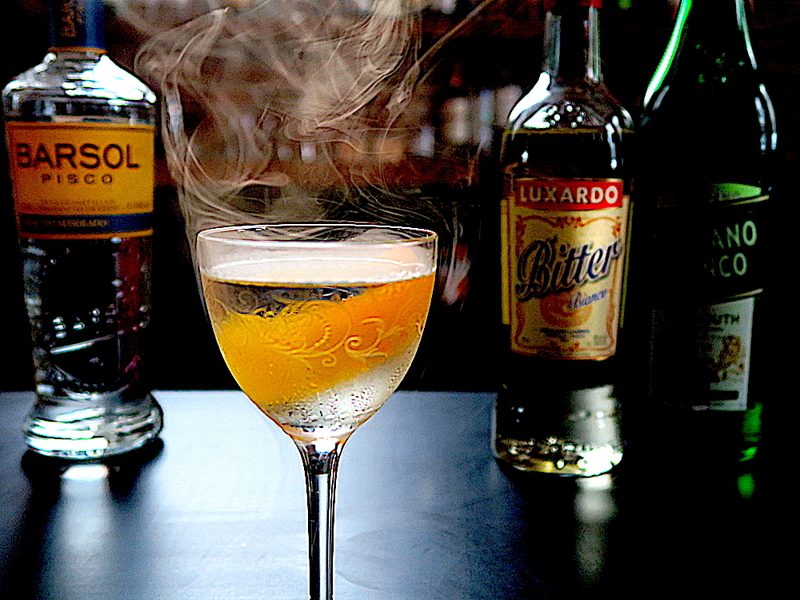 To honor #fogust in San Francisco (the foggy month of August), I added smoke to the cocktail.